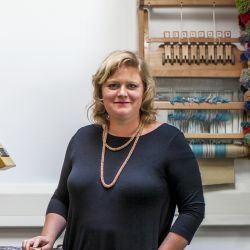 Margo Selby created a bespoke contract fabric for the Harrison hospitality design group to be applied across their client’s portfolio of international restaurants. The fabric was designed to fit into a dynamic design concept, where no two restaurant locations are the same. The fabric was required to meet the stringent quality standards for contract/commercial usage. The bespoke design was paired with one of Margo’s most iconic textile designs; Iceni. The two fabrics contribute to the strong visual impact of each location.